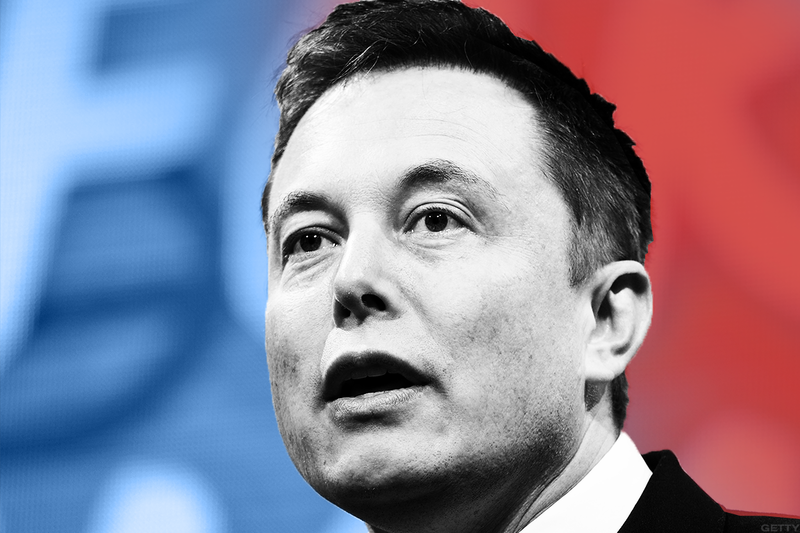 Bulls are likely to applaud Tesla's remarks about Model 3 net reservations and expected earnings improvement. Bears are likely to take issue with ongoing margin and cash-flow pressures. For months, Tesla's (TSLA - Get Report) shares have been rising and falling based on news related to its giant Model 3 production ramp. Thus it's not too surprising that an earnings report featuring mildly encouraging (but not truly head-turning) Model 3 commentary, and a mixture of good and bad news on other fronts, is being met with a shrug by investors. Tesla reported Q4 revenue of $3.29 billion (up 44% annually) and adjusted EPS of negative $3.04. Revenue was nearly in-line with a $3.3 billion consensus, while EPS slightly beat a negative $3.11 consensus. A couple weeks after Tesla responded to a CNBC report about ongoing Model 3 production challenges by reiterating its production targets for the relatively cheap sedan, the company did so once more: It's still aiming for a 2,500-vehicle weekly production rate by the end of Q1, and a 5,000-vehicle rate by the end of Q2. Tesla had at one time wanted to get to 5,000 units per week by the end of Q4, but gradually pushed back its goal in response to battery module production issues. Notably, Tesla said net reservations for the Model 3, which saw only 1,542 deliveries in Q4, "remained stable" last quarter as reports of delays mounted, and have grown in recent weeks as the car began appearing in select Tesla showrooms and garnered positive reviews. But no number was given. The company previously disclosed having 455,000 net reservations as of late July, and has said the number grew "significantly" in Q3. Shares briefly rose a bit following the news, but closed after-hours trading down slightly. They're down about 2% on Thursday morning, but remain about 12% above where they traded prior to the Q3 report. On the earnings call, Elon Musk insisted that Tesla had made considerable progress towards addressing its battery module output issues, and that an automated system for two of its module production zones was nearing completion. He added that following module production, the next challenge in the way of Tesla reaching a 5,000-vehicle production rate is improving the conveyance system at its Fremont, Calif. car-assembly plant. And that this effort "appears to be on track." As Tesla bends backward to ramp Model 3 output, it's forecasting combined 2018 deliveries of its costlier Model S sedan and Model X crossover will only amount to 100,000 due to battery cell supply constraints. That's slightly below 2017 deliveries of 101,300, as well as a consensus of 102,000. With deliveries supply-constrained, Tesla plans to prioritize sales of Model S and X units packed with margin-enhancing options. Nonetheless, Tesla promises that with the help of the Model 3 ramp and major growth for its energy storage business (it's expected to at least triple in 2018), its 2018 revenue growth will "significantly exceed" its 2017 growth of 55%. As it is, the pre-earnings analyst consensus called for revenue to rise 66% in 2018 to $19.47 billion. Also forecast for 2018: Tesla's capital spending will rise slightly from a 2017 level of $3.4 billion, which itself was up sharply from a 2016 level of $1.3 billion. The Model 3 ramp, battery Gigafactory investments, the continued buildout of Tesla's Supercharger network and initial investments related to the low-cost Model Y crossover will all play roles. With Tesla having ended Q4 possessing $3.4 billion in cash to go with $10.4 billion in long-term debt and capital leases, odds are good that the company will raise capital again later in 2018. Even with Tesla promising to keep "tight control over operating expenses" this year. Thanks to heavy capex as well as well as a $966 million increase in GAAP operating expenses to $1.63 billion, Tesla's 2017 free cash flow (FCF) was negative $3.48 billion, much worse than 2016's negative $1.4 billion. On the bright side, Tesla promises its operating income will "turn sustainably positive at some point in 2018," and Musk says he's "cautiously optimistic" about Tesla becoming profitable on a GAAP basis at some point in the year. That's not the same as promising to become cash flow-positive, which will almost certainly take longer given how high capex remains, but does represent a larger bottom-line improvement than many analysts forecast. Provided, of course, that Tesla -- which has missed quite a few deadlines over its history -- ends up making good on Musk's cautious optimism. To hit its bottom-line goals, Tesla will have to significantly improve its automotive and energy gross margins (GMs). Thanks in large part to the Model 3's delayed production ramp, Tesla's adjusted auto GM fell to 13.8% in Q4 from 18.7% in Q3 and 22.2% in the year-ago period. And the GM for its energy generation & storage unit, hurt by one-time issues as well as a mix shift towards energy storage sales relative to solar sales -- Tesla's SolarCity unit has seen deployments fall sharply as it cuts sales spending and targets higher-margin deals -- posted a GM of just 5.5%. Tesla does insist the Model 3's GM will reach a target of 25% after production "stabilizes" at a level of 5,000 cars per week, and that it can achieve a cash GM for the Model S and X in the 30% to 32% range by year's end. It also forecasts a major improvement in its energy GM with the help of "higher-margin commercial solar projects and a more profitable energy storage business due to manufacturing efficiencies from scaling." And for its Services & Other reporting segment, which has historically seen a negative GM, to see margins " improve in each subsequent quarter in 2018" as Tesla improves services productivity and starts charging some car owners for Supercharger usage. Given Tesla's history, many bears will no doubt advise taking such margin and profit promises with a spoonful of salt, and argue that the company's latest financial disclosures only serve to validate their doubts about the company's prospects. Just as many bulls will look at those same forecasts, along with Tesla's relatively upbeat Model 3 commentary, as evidence the company remains on its way to becoming an auto, battery and renewable energy colossus. By and large, Tesla shares only make big post-earnings moves when news arrives that seriously boosts or shakes the confidence of one of those two groups regarding their views. The Q4 report didn't provide that. TheStreet's Eric Jhonsa previously covered Tesla's earnings report and call through a live blog.